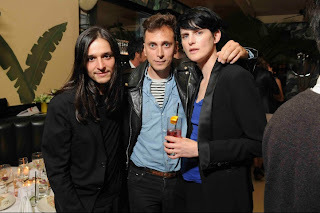 Fashion's finest turned out at New York's Indochine restaurant in celebration of American Vogue's creative director Grace Coddington's 70th Birthday. Shalom Harlow, Naomi Campbell, Stella Tenant, Liya Kebede, Caroline Trentini, Isabeli Fontana and Karlie Kloss amongst others paid tribute to Coddington in an evening that was marked by genuine warmth, emotion and camaraderie. 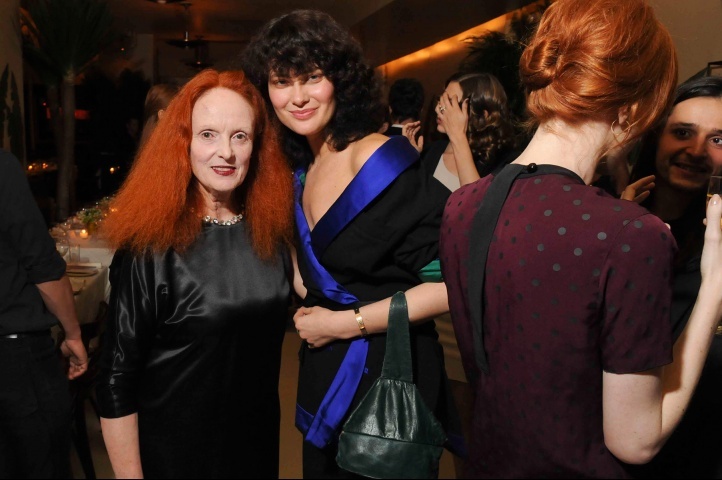 Photographer Bruce Weber and Marc Jacobs made heartfelt tributes whilst model Karen Elson serenaded Coddington with a moving rendition of Amazing Grace after recalling how Coddington took her (Elson) into her office as a scraggly seventeen-year-old red head during her early modelling days. 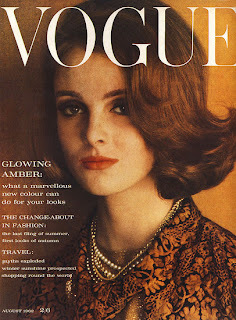 Coddington herself began working as a model for Vogue at the age of seventeen when she won the young model division of a Vogue modelling competition. 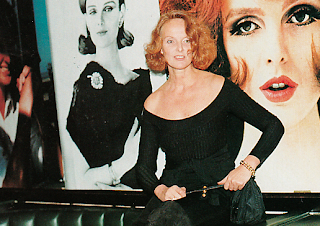 After a few years of modelling, Coddington began working for British Vogue as a stylist. Coddington spent nineteen years at British Vogue as the Photo Editor before moving onto American Vogue in 1988 joining forces with Anna Wintour in the role of creative director. 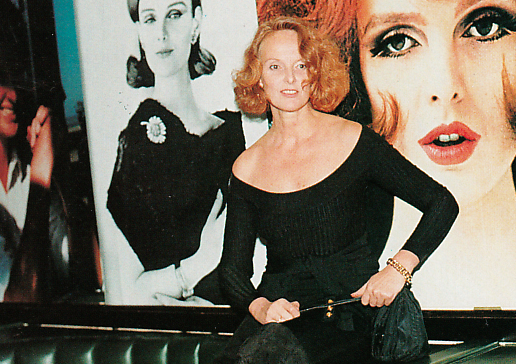 As one of the world's most influential fashion editors, Coddington's brilliance lies in her ability to transform photographic spreads into narratives. In an interview with Time Magazine, Coddington surmises, "I like fairy tales, and I like dreaming. I try to weave the reality into the dream. When readers pick up Vogue, I want them to smile. Everything should be a little tongue in cheek, a little dare to-go-there." Editor in Chief of American Vogue Anna Wintour, perhaps sums it up best, "I think of Grace as the heart and soul of the magazine. She is a beacon of excellence."